This is probably one of the most important questions new dog owners should ask themselves because the answer will make a huge impact on their dog’s quality of life and overall growth. Figuring out whether or not to neuter your dog can be a difficult process. 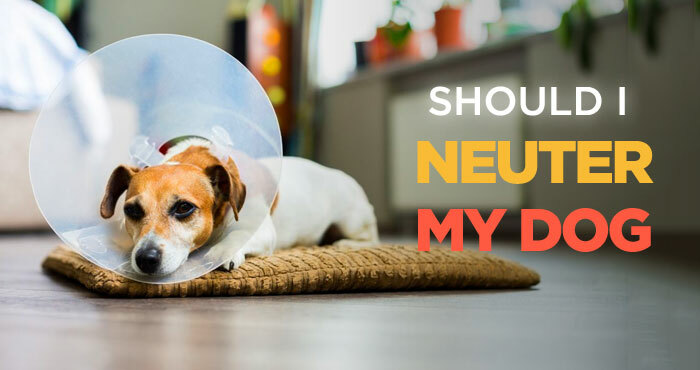 There are many pros and cons of neutering a dog to consider, and many pet owners can feel overwhelmed when making this important decision about their dog. 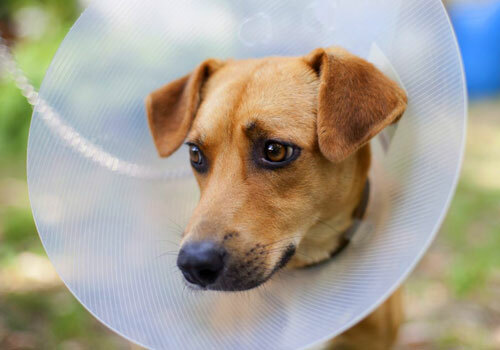 This article will help guide you through the process of neutering a dog and help you to make an informed decision that suits you and your dog’s needs. We will further discuss what exactly spaying a dog involves as well as what are the positive and negative health effects of neutering or spaying on dogs. What Is Neutering a Dog Mean? First, it’s important to have a firm understanding of what neutering your dog entails or what is castration? Neutering or spaying is a process through which your dog has his testicles surgically removed. This removes the main source of testosterone from your dog’s body, which prevents him from reproducing and has a variety of hormonal and behavioral effects. There are many advantages to neutering your dog. First and foremost, many experts believe that neutering your male dog can prevent aggressive behaviors caused by testosterone. Studies suggest that neutered dogs are less aggressive than intact dogs, and many undesirable behaviors can be stopped by neutering. The dispositions of spayed dogs are less dominant and they are less likely to have issues with aggression. Spayed dogs are less likely to display sexual tendencies towards inanimate objects, people, and other dogs. This can be helpful if your dog creates embarrassing situations for you by trying to satisfy his sexual desires. Neutered dogs are also less likely to mark their territory, which can be helpful if your dog tugs you to the nearest telephone pole every time you go for a walk. If your dog socializes with other dogs a lot, neutering can have a lot of benefits. Spayed dogs are less likely to come into conflict with other males, which can prevent fighting and injuries between dogs. Furthermore, neutered dogs are much calmer around unsprayed females. Spaying can prevent unwanted sexual advances on the part of your pup and can also help him to avoid fighting with other males. Similarly, neutering your pet decreases the chance that he will wander off to try to find a female to impregnate. 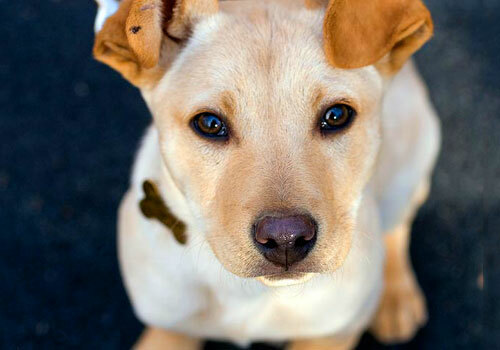 Your dog is much less likely to run away or to accidentally sire puppies on a female dog in heat. Not only does this greatly reduce the chance of something bad happening to your dog if he gets out, but it also prevents extra or unwanted puppies from being accidentally conceived. Since pet shelters are already bursting with unwanted pets, spaying your dog helps to prevent him from contributing to this burden. For the reasons listed above, neutered dogs are often looked on more favorably than unneutered dogs. This can have many benefits to pet owners, such as a reduction in licensing fees, increased access to dog parks and public areas, and less risk of unnecessary stigma against your dog. Finally, neutering can have several health benefits for your pet. Spaying a dog helps to prevent testicular cancer and other diseases such as prostrate disorders and perianal fistula. In addition, some studies indicate that neutering helps your dog to have a longer and healthier life. While there are many positives to neutering your dog, there are also some important downsides to be considered. First, spaying prevents dogs from reproducing, so if you ever want your dog to sire puppies, neutering is not for you. If you are interested in breeding your dog, you should refrain from neutering him. This is especially relevant if your dog is a purebred and you are interesting in continuing his line. If you are interested in entering your dog into competitions, you should also steer away from neutering. Most competitions prefer unneutered dogs to neutered ones, and dogs who are neutered early mature differently than their intact counterparts, resulting in a different physical makeup. Spaying also has some negative health effects. Neutered dogs have an increased risk of obesity, hypothyroidism, geriatric dementia, and other illnesses. Furthermore, if dogs are neutered before their bones have time to grow, they run an increased risk for fragile bones and related injuries. While not all studies agree, some suggest that neutering your dog also increases the risk of various cancers. 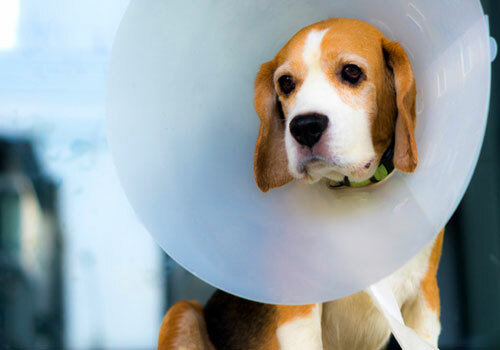 Finally, many people see neutering as an unnecessary and unnatural surgical procedure that changes a dog’s physical makeup without any demonstrable benefits. Critics point out that unneutered dogs can be just as well-trained, non-aggressive, and healthy as neutered dogs, and argue that the process of neutering can actually be detrimental. Watch this video where expert veterinarian Dr. Karen explains the pros and cons of neutering a dog. At what age should I neuter my dog? This question can pop in anybody’s mind. The age at which you neuter your pup, can make a significant difference as far as the effects of neutering are concerned. While you can neuter your dog as early as 6 weeks, most vets recommend that dogs be neutered somewhere between 6 to 9 months. 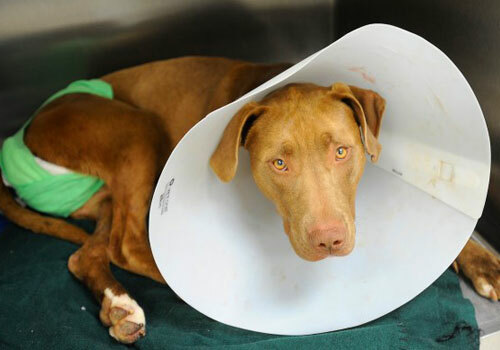 Young pups recover more quickly from surgery and are less likely to have complications. Those who are more skeptical of early neutering advocate for a neutering age of 12 to 18 months. This allows dogs the chance to mature further and mitigates many of the potential health risks associated with spaying. Spaying a dog earlier rather than later ensures that they don’t develop any potential behavioral issues as they grow into adult males. However, some studies claim that early neutering can put dogs at risk for joint and bones problems. Ultimately, the benefits of early neutering are controversial, and the appropriate age at which to neuter your pet should be discussed with your vet. Should I Neuter My Dog or Not? The decision whether or not to neuter your pet is a personal choice with pros and cons to both sides. Neutering is a safe and effective procedure to prevent male dogs from reproducing, and is incredibly common in the United States. It can have many behavioral and health benefits that improve you and your dog’s life. On the other hand, neutering does pose some risks, and precludes dogs from siring puppies, competing in competitions, and maturing in the same way as unneutered dogs. Ultimately, the decision is yours! Why should we (The humane race) decide if a dog should be altered? For these so called “benefits” even though neutering has more long term risks. It’s just plain wrong! It’s a billion dollar industry and vets like their money! Intact dogs tend to show more aggression? Lol, this boils down to how the dog is raised. Would humans be less aggressive if we were fixed? Haha, see how dumb it sounds?! Aggression comes from lack of training or physical abuse to an animal. Yes intact dogs tend to lift leg and mark, but if you potty train your dog (neutered or not), then there will be no issues marking in the home. Population control? Having your dog fixed will not control canine population. The issue is unregistered breeders that are breeding dogs and can’t find them homes, so majority of the time they just dump the dogs. Moral of the story is that we should not make a decision to alter a dog or any animal, unless there is a specific medical reason to do so. No I’m not an animal activist. Welcome the site and glad the article was helpful. I also agree. Sure, dogs may not worry about “being less of a man”, but the dog still may develop depression from changes in hormones, and just imagine waking up and part of you is gone? I used to have a dog, and sure, he marked and mounted things, but it wasn’t female dogs, and shih tzus are hard to house train. He was scared to death of other dogs, including females. My cousin had a female dachshund, and my unneutered male dog had no interest in her. Not all male dogs should be neutered unless you just can’t control them around females or they have health issues. Sure, it may control the population, but who’s to say we should control ours? My dog simply didn’t need neutering. Just being shaved for seasonal reasons changed him for a few days, and he was unhappy, so neutering would have just had worse behavioral effects on him. (Sadly, i had to give him up because of my parents unable to afford pet fees.) Vasectomy is pretty much like neutering a human. And getting tubes tied is no different from spaying a human. That’s just my opinion. Thanks for adding your thoughts AuBurney. Appreciate it. One thing I never see mentioned in the pro’s and con’s of neutering a dog is the effect on the dog’s scent for other dogs. We had a labrador who had hip displasyia due a disreputable breeder, and we made the decision to castrate (the dog, not the breeder) to prevent the problem being passed on. Our dog lost confidence and was continually harassed by male dogs, who seemed to figure “if it wasn’t male it must be female and worth a try…” It took us a long time to get him to stand up for himself again, confident but non-aggressive. Our vet was very good and was able to operate on the hips to restore mobility, and he lived another 11 years (the dog, not the vet).